Athletes are susceptible to abusing alcohol, tobacco, prescription drugs, and illicit recreational substances, such as heroin or cocaine, just like non-athletes. Some athletes use drugs to self-treat depression, stress, insomnia, physical ailments, and performance anxiety. In addition, others driven to win at all costs take performance-enhancing drugs. According to a 2007 article in World Psychiatry, hundreds of substances and drugs are abused in sports and are banned by various sports governing bodies. Drug use is known to be widely prevalent among all levels of athletes and in all sports. However, beyond the publicized and sensationalized drug detection in top athletes, accurate, coherent statistics on the full prevalence of drug use among all athletes is difficult to find. A summary of selected studies of various sports and levels of athletes published in a 2014 review in Substance Abuse and Rehabilitation reveal the following stats on drug use in athletes during the previous year. The article notes these numbers may be lower than actuality because athletes self-report much of the data on questionnaires. They may under report out of fear of discovery. Anabolic (testosterone-like) steroids: Overall use declined to 0.4 percent in 2013 compared to 1.1 percent in 2005. Women had a use rate of 0.1 percent versus 0.7 percent for men. Athletes in hockey, football, baseball, and men's lacrosse were the mose frequent users. The rate for alcohol use was about the same for women (82 percent) and men (80 percent), although the rate for excessive drinking was higher for men. Recreational substance use, including alcohol, tobacco, and marijuana was highest among Division III college athletes. A higher percentage of men than women used recreational substances, as well as performance-enhancing drugs. Lacrosse players were the highest users of recreational drugs and basketball players the lowest. According to a 2015 review in Sports Medicine, the prevalence of drug use in elite sports - including Olympics and professional sports - is uncertain. The authors estimate the prevalence to be between 14 percent and 39 percent, from data gathered from questionnaires that were specially designed to unmask truth. They conclude drug testing of elite athletes underestimates the true prevalence. Performance-enhancing drugs (PEDs), or doping agents, are most often publicized about Olympic and other elite athletes. They include illegal substances banned by athletic bodies, such as the International Olympic Committee (IOC), the International Association of Athletics Federations (IAAF), and WADA. PEDs include a variety of non-prescription substances, prescription medicines, and certain dietary and herbal supplements, some of which are often obtained from unreliable online sources. In addition, new "designer" performance-enhancing drugs, made to evade or circumvent testing or laws, put athletes and sport programs further at risk. According to the Mayo Clinic and the Substance Abuse and Rehabilitation article cited in the first section, the following are the most common PEDs athletes use. Anabolic-androgenic steroids include the natural male hormone, testosterone, and its natural or synthetic derivatives. They can increase muscle mass and strength and are most often used by athletes like weight lifters and wrestlers, who take large doses of these drugs. Androstenedione and dehydroepiandrosterone (DHEA): These are natural, intermediate hormones that both women and men make in the adrenals, ovaries and testicles on the pathway to producing estrogens and testosterone. Athletes take these derivatives for their testosterone-like effects on muscle and to increase their testosterone, though they have not been proven to improve performance. Synthetic anabolic-androgenic steroids, otherwise called anabolic steroids, such as danazol or stanazalol, are also taken for their testosterone-like muscle-bulking and performance-improvement effects. Stimulants include prescription Adderall, caffeine, ephedrine, pseudoephedrine, amphetamines, methamphetamines, and cocaine. 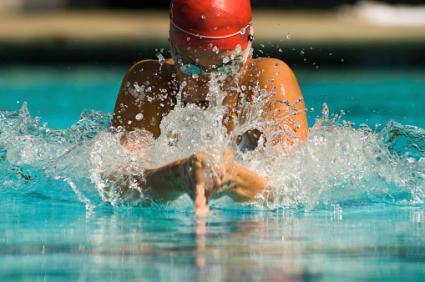 Athletes abuse some of these substances to enhance energy, alertness, and endurance, as well as to manage fatigue. Stimulants cause a crash in energy soon after the initial stimulant effect. Other adverse effects include insomnia, irregular heartbeat, risk for heart attack, brain hemorrhage, convulsions, and weight loss. Human growth hormone (hGH) increases muscle mass, decreases fat mass, and improves sprint capacity. Athletes in many sports, such as track and field, baseball, and cycling use this. According to Harvard Health Publications, there is no proof that hGH improves performance. Erythropoetin (EPO) is a natural substance made in the kidneys that increases red blood cell production. This, in turn, raises the level of oxygen-carrying hemoglobin in the blood. Athletes use synthetic erythropoetin, or Epoetin, to blood-dope to improve endurance. Diuretics rid the body of salt and water and can make an athlete weigh in lighter if that is important to the requirement of his sport, such as in wrestling and boxing. Creatine is a natural chemical stored in muscle. Athletes take it as an unregulated dietary supplement in pill or powder form, and it is present in many sports supplements. 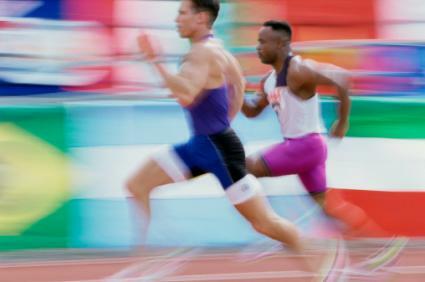 Athletes take it to tap into immediate muscle energy stores for rapid activities such as sprinting. Creatine is allowed by the IOC and the NCAA, but its effectiveness in enhancing athletic performance are unclear. Beta-blockers are used to treat high blood pressure and heart disease. They slow heart rate and reduce anxiety and are exploited for these reasons in sports like archery were steady hands are needed. Drug abuse is widespread in all sports and all levels of sports, from the high school to the Olympic elite athlete. Whether misusing prescription medicines, recreational drugs, or illicit performance-enhancing substances in pursuit of a top medal, the health risks should serve as a deterrent. In addition, the professional and legal adverse outcomes can be devastating.